Supermarkets shelves are full of kids magazines nowadays, filled with a useless plastic toy to attract children. These kind of toys normally ends up in the bin within few minutes. The paper is just so flimsy that it won’t last an hour. 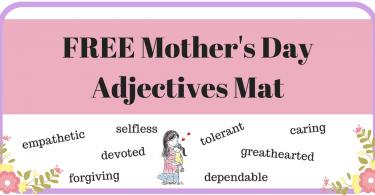 The material that is normally written is about some cartoons or television programs that our children are already too much exposed to, so I try to avoid this a lot. Another problem that I face is either the magazine is too girlish with all princesses stuff or too boyish with just dinosaurs or Batman stuff. I came to know about Storytime magazine through a friend. The day I received the magazine, I was thrilled, as my search for something amazing finished that day. What a fab magazine it is! It’s a true treat for avid young story lovers. Firstly, I will start with the material of paper. The paper used for this magazine is simply Luxurious and super quality which will bear kids mishandling. It has lots of lovely colourful pictures to attract children. The magazine is not at all gender specific. The colour schemes are neutral so it is wonderful for both girl and boy. 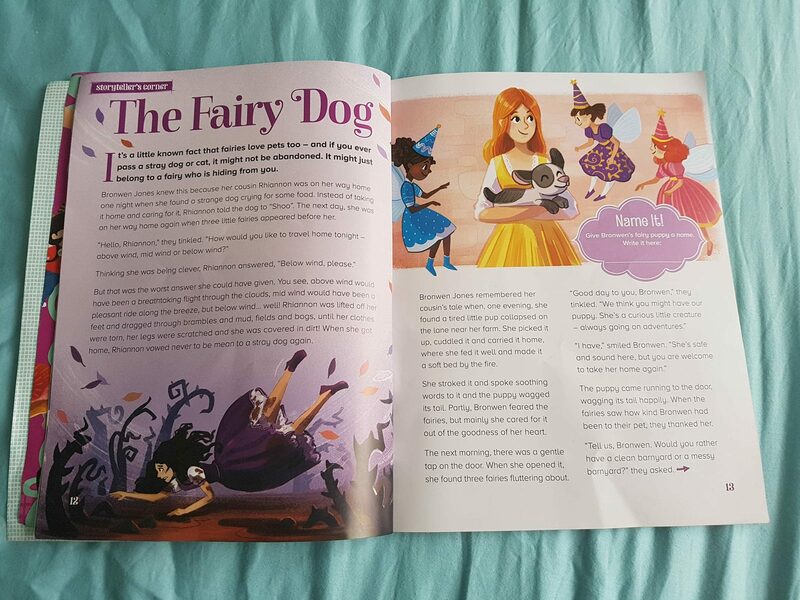 Each magazine is packed with Wonderful fairy tales, myths, poems, and much more. The stories are a mix of classical stories along with stories from other countries and some new ones as well. 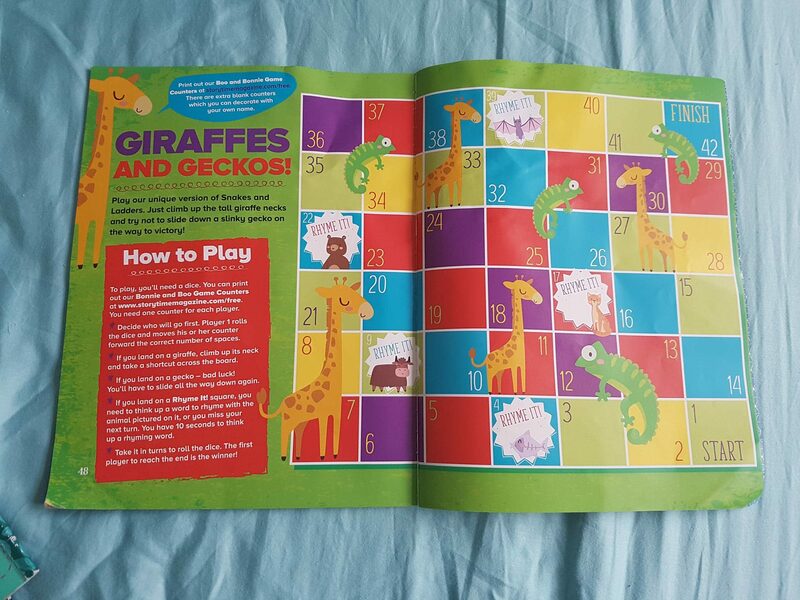 The text on each page is not overstuffed, so it gets easier for little ones to understand and read. Now reading is no more a chore for my little lady. It takes hardly 10 minutes to read one story. Each story is not too long to make it boring and not too short, Just the right size. 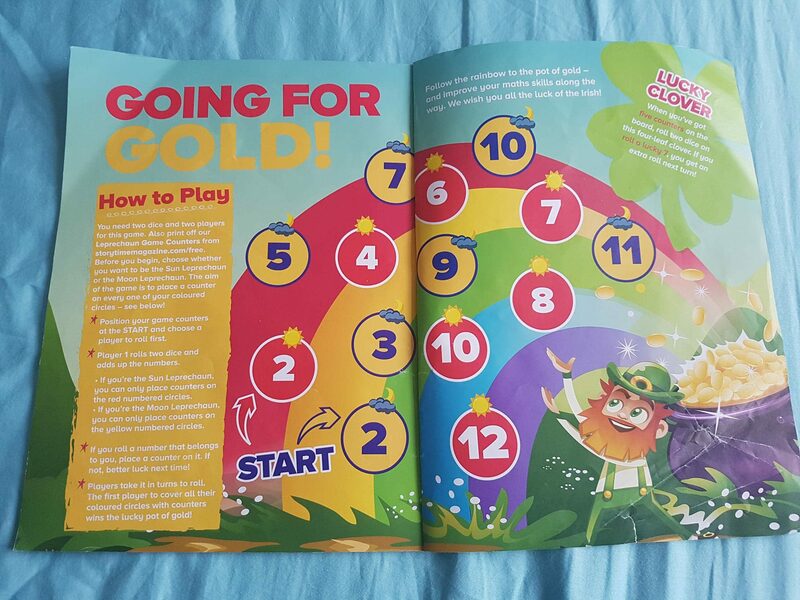 The main thing that I really love is that magazine enhances children literacy skills. The traditional tales fit with the new 2014 curriculum. 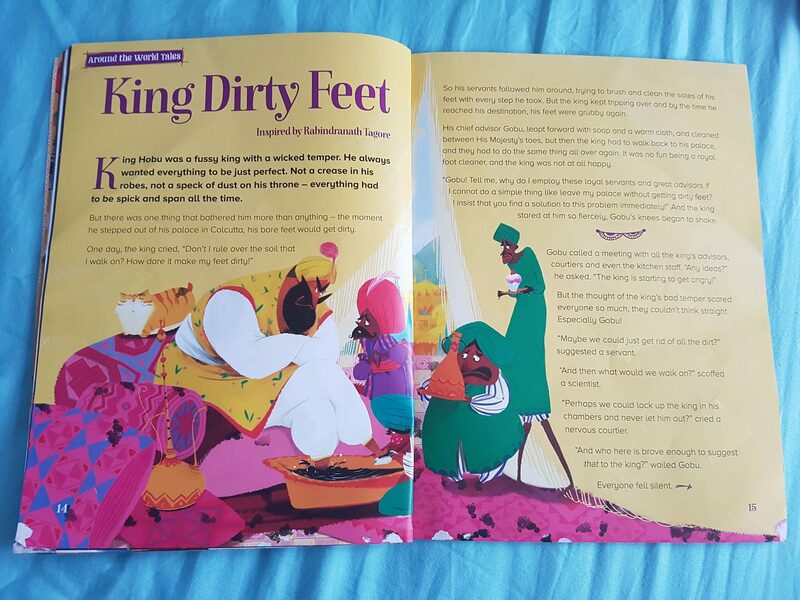 Very rich and thought-provoking words are used throughout stories, so my daughter is learning lots of new words. 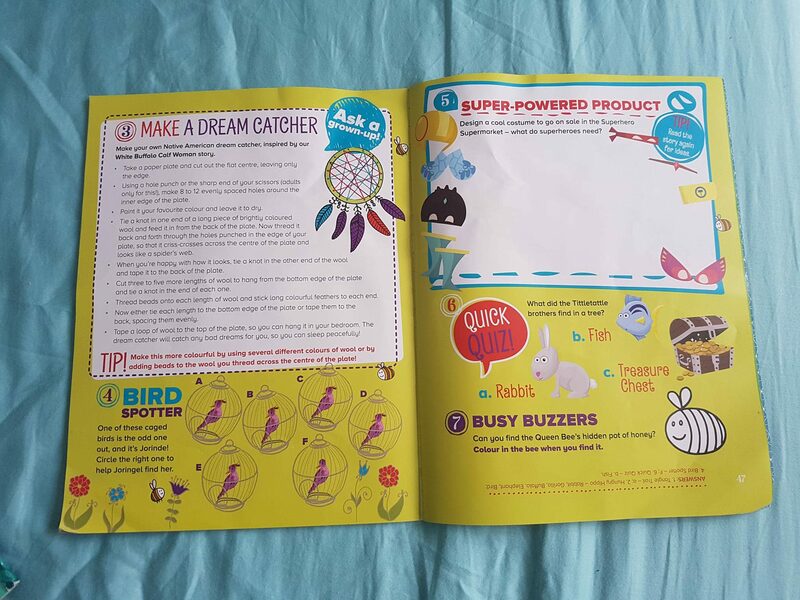 Last two pages of the magazine are dedicated to games, art and crafts activities, and quizzes which are just superb. 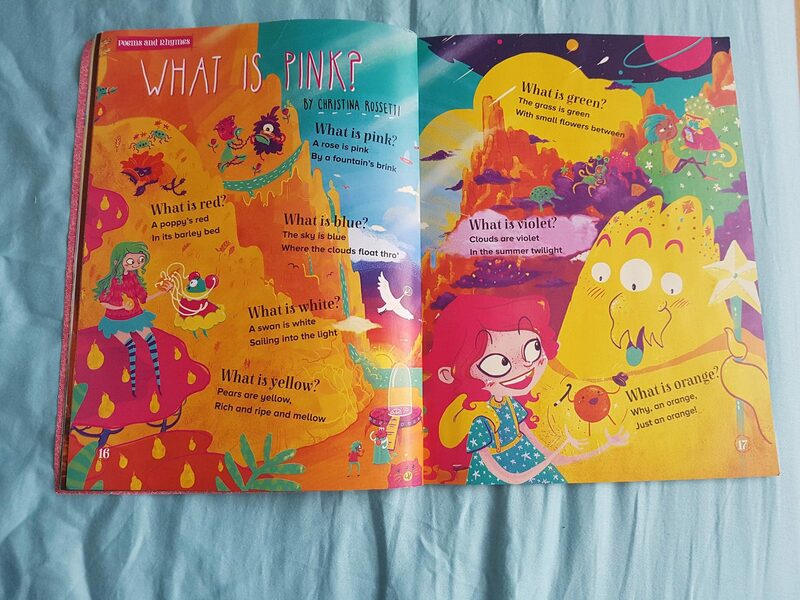 These are some riddles and stories related questions as well which enhances children comprehension skills. 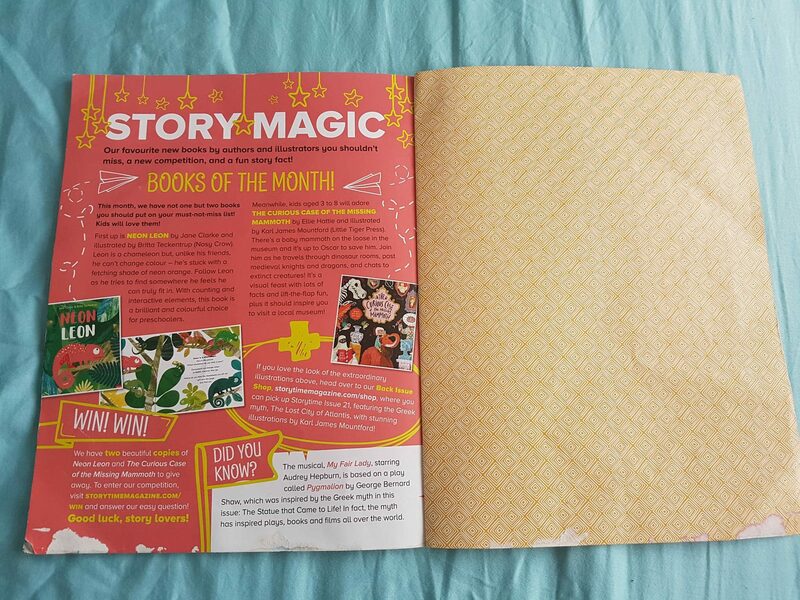 Th last page of the magazine features Favourite Books of the Month, As well as chance to enter the competition and win wonderful copies of the books. 3 issues for just £9.99 – or The BEST DEAL – save 29% with 12 issues for just £33.99 (3, 6, 12 and 24-month plans available). 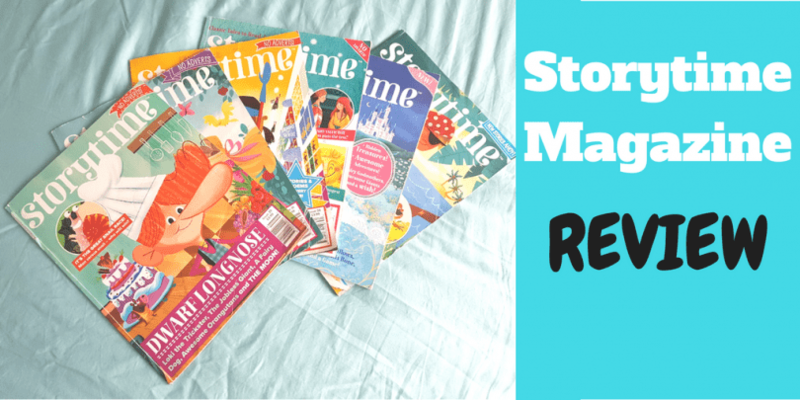 For more information on subscription go to Storytime Magazine subscription page. 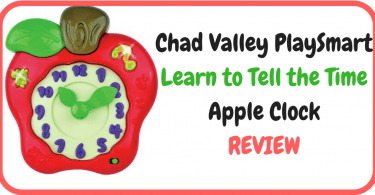 Disclaimer: This is not a paid review and Storytime did not know I would be writing about them. I am buying their copies since last 2 years and am writing about them because I genuinely think it is wonderful.